Want to be notified of new releases in MarcusE1W/eastend-notebook-syntax? A light flowery theme. With notebook style. 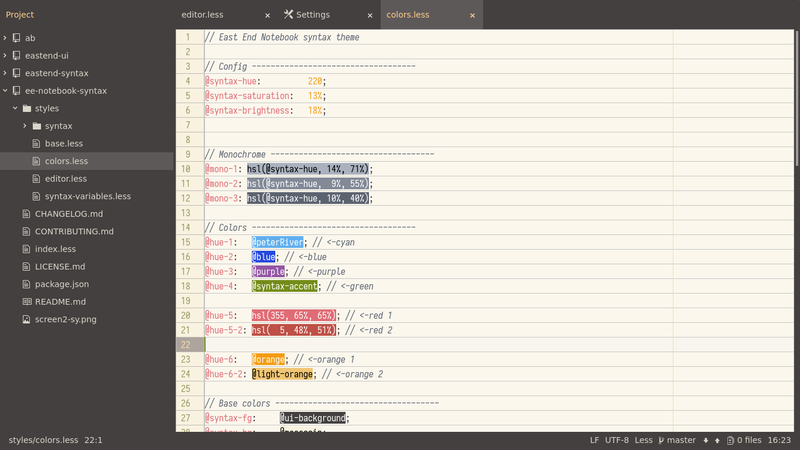 The East End Notebook syntax is designed for the East End UI theme.